What does a jail have to do with Christ’s church? This week, as it turns out, two things! 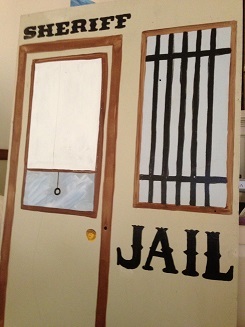 As you’ll notice at the front of the sanctuary on Sunday morning, the hoosegow is an integral prop in of our upcoming Gold Rush Kid’s Camp. It’s the one place where Kate the Snake Jackson, an outlaw in our Gold Rush town, has yet to set foot. The jail is also the location where, in the book of Acts, we’re going to see the transforming power of the Gospel of Jesus Christ at work in the hearts, desires and actions of those who believe in Him. I hope you don’t find yourself in jail, like the apostle Paul and Silas, but I do hope that your faith will be encouraged by the four separate instances of Gospel transformation contained in this week’s passage. If you’re a follower of Jesus, the same Holy Spirit at work in that early church is at work in you, me and our church today. His work in us begins with our faith in Jesus and doesn’t stop there, as He continues to transform us in ways that previously seemed incomprehsible. Come join us this Sunday as we seek to be encouraged and to refresh our wonder at the grace that shook the jailer’s world and melted his hardened heart. Paul’s first missionary journey has nearly come to an end and through it, we cannot help but notice the presence of God’s grace. 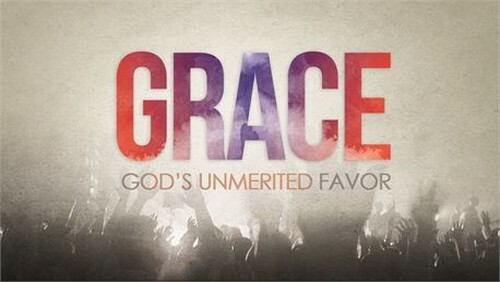 The theological definition of grace is “unmerited favor.” What this really means is that you are given something you don’t deserve or that something is done for you that you could not do on your own and have no right to demand. But, as Derek Thomas says, “grace is not just a doctrine to be believed, it is a fact you can lean your weight on.” That is the whole point of this week’s passage and, I might argue, one of the main points of the entire book of Acts. We shouldn’t merely expect God to provide grace, we should live our own lives in such radical boldness and obedience as to depend on it. And if there was ever a passage to encourage us in doing so, this one is it.